A new memoir by Liz Maxwell Forbes. 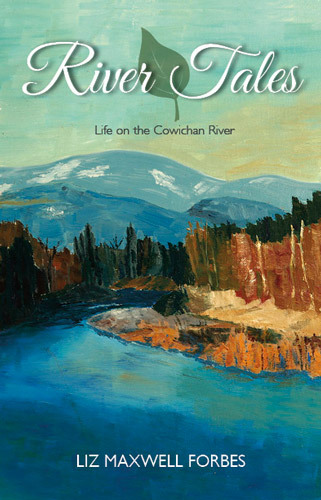 River Tales is about four city people who leave their jobs in the mid-1970s and buy land along the Cowichan River in British Columbia, Canada. It’s about love, birth, and death. It’s about dreams and dance, beer and marijuana, drums and tee-pees. Through it all, the river never stops. In Growing Up Weird: A Memoir of an Oak Bay Childhood, author Liz Maxwell Forbes provides a very personal account of childhood in a British Columbia community in the 1940s and 1950s. Drawing from her early experiences, Forbes describes a family life disrupted by the Second World War, her parents’ divorce, and her struggles to find independence away from the tensions of home and the expectations of society. We have our books. 200 wonderful lovely books printed two days before Christmas. We dashed down island over the Malahat through fog and rain and almost snow to First Choice Books in Victoria and picked up Grant’s copies of View From The Tower. We were able to fill the almost 20 pre-orders before Christmas. 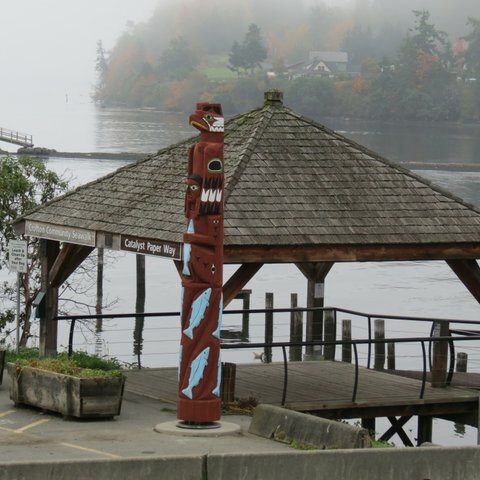 Yesterday, we placed copies of View From The Tower at Amy Jo’s Cafe by the Crofton ferry terminal to Salt Spring Island. Ashley Harris receiving Grant’s books before she serves our coffee and muffins. It is a new year and a new look at our local coffee shop. When we took Grant’s books in today we noticed that they had redecorated over the holidays and the wall colour matched the cover of Grant’s new book perfectly! Amy Jo and her daughter Ashley have a section featuring local authors and View From The Tower is well placed among these authors. The cafe is a popular spot for tourists and locals to buy the local art work, hand crafts and books on display. Local artist Beckie Hutchinson and Vicki Halme buying copies of View From The Tower from Amy Jo’s. Copies of View From The Tower are also for sale at Volume One Books on Kenneth Street in Duncan as well as directly from our web site. Next step is to place the books at our local and up island museums and, taking a tip from the late Joe Garner, “Never Fly Over an Eagles Nest”, we are keeping a box of books to sell in the trunk of the car. 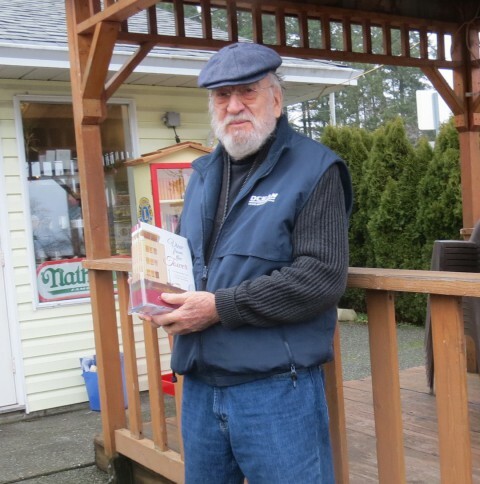 We sold our first one of 2016 to my sister outside the Cowichan Bay Pub where we had just had lunch. We had given her one already for a Christmas gift and she asked if we had more. “Oh yes”, we said and whipped up the hatch back of our car and did a quick sales deal. So stop us on the street if you want to buy…we have books. This has been a great start to our new year. 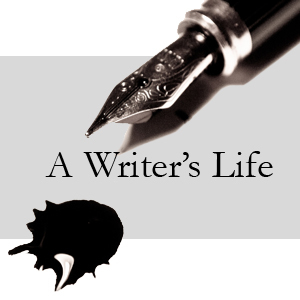 I love writing and selling, so it is a great package all around. November is my least favourite month. Even though I am a west coast girl and don’t mind the rain, this gray, cold, eternal downpour is depressing. The south east winds are gusting and rocking my bird feeders. One lone black capped chickadee protected by the roof of the feeder is diligently pecking at the seeds. 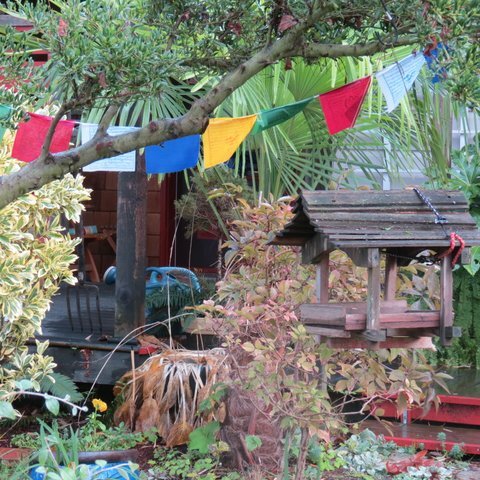 A prayer flag hung nearby startles with its splash of bright yellow and red. On my porch, small mauve pansies bloom in pots already plumped with daffodils waiting for spring. There is hope. And in the warmth of our home we celebrate Grant’s accomplishment in finalizing his west coast aviation memoirs. 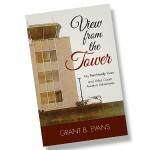 View From The Tower is at the publishers now and will be available soon on this web page and at Volume One Books in Duncan. We got our business cards last week. 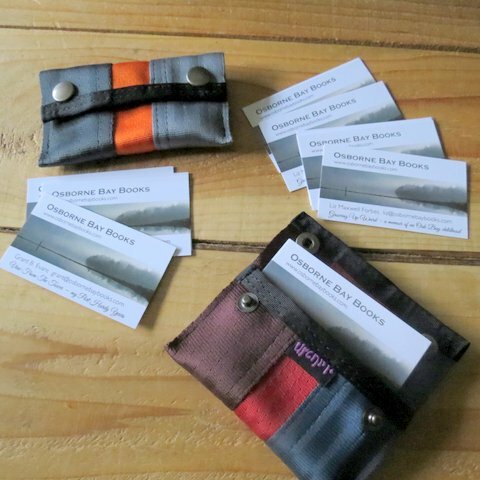 Business cards with our name, our web page and the names of our books. We are in business! I love the picture on our business card. It is reproduced from the photo on our webpage. The photo is of a foggy morning in Osborne Bay and was taken by my friend Jean Ballard. 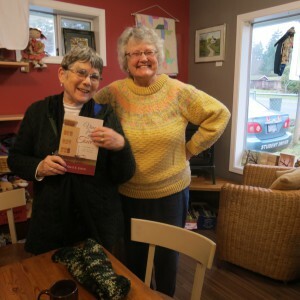 Jean writes a blog featuring her photographs of animals and places around Crofton and the Chemainus Valley. I thought I saw Freddie on the Sea Walk the other day. I was quite far away but it looked like him as he was standing at a slight tilt with arms clasped behind his back. 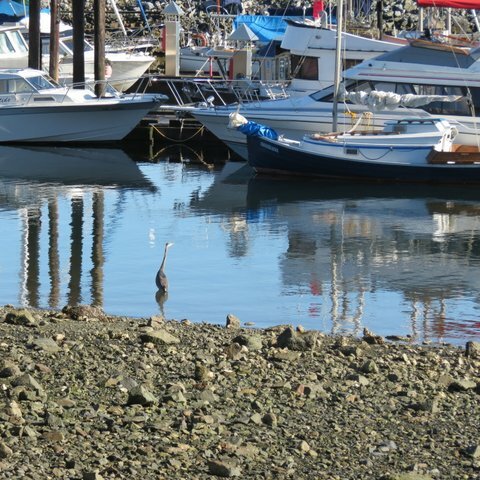 He was gazing out at the marina, perhaps at the great blue heron that owns that spot of shore line. My steps quickened momentarily and then I remembered. Freddie was dead. I treated myself today. 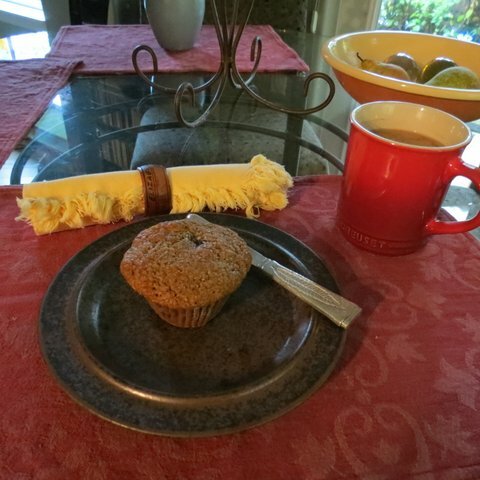 Not by shopping for clothes or stuffing down chocolate cake—I treated myself with downtime. My free time has been taken up with writing. Grant, my husband, and I are doing the finishing touches on our memoirs. Both of us leap out of bed in the middle of the night and scribble down a thought. Often in the wee hours of the morning I see the lights on in Grant’s study. Some days my head is in turmoil with scattered images and I can’t organize them into sentences. That is when I procrastinate by eating or baking. We didn’t go anywhere this summer. Usually we take picnics to the beach, swim in the ocean, and take day trips to all the small towns up and down island. This summer we lived like moles, tucked into our respective studies, writing. 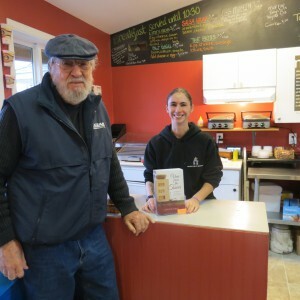 I was working on my memoir Growing Up Weird and Grant was writing View From The Tower, tales of his life as an air traffic controller in Port Hardy. It was abnormally hot outside and our house was cool.